Freshen up your room continuously with a plug in room scenter ball. Comes with five unscented pad inserts. Plug in Essential Oil Diffuser Ball with Pure Essential Oil Blend	Same as above but with 5 mls of essential oil blend. Choose your own blend. 5 ml essential oil blend. 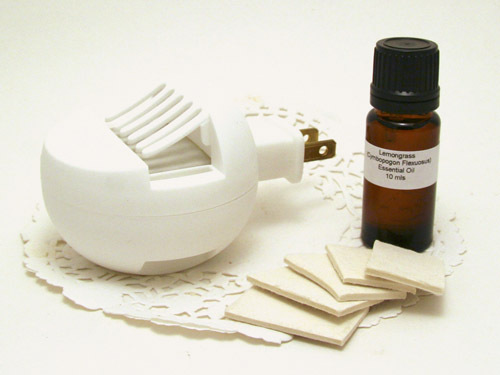 Freshen up your room naturally with distilled water and a refreshing blend of pure essential oils.